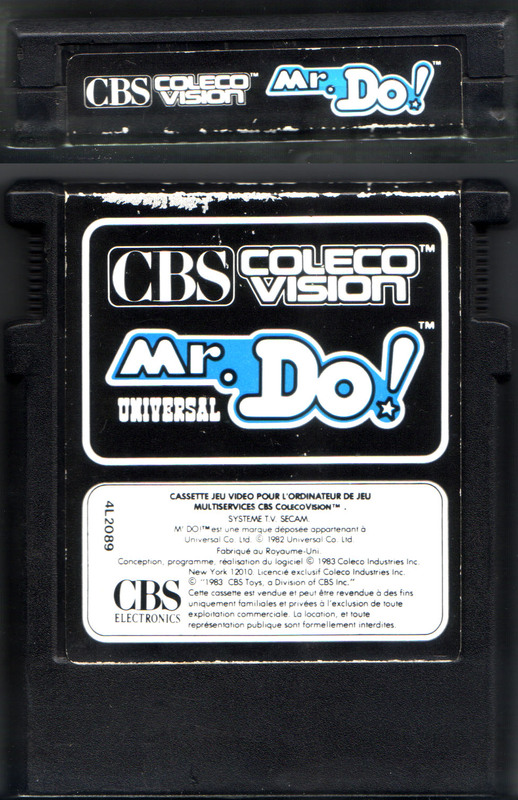 Alle Rechte, einschließlich Vervielfältigung und des Verleihs, bleiben - auch bei nur auszugsweiser Verwertung - vorbehalten. 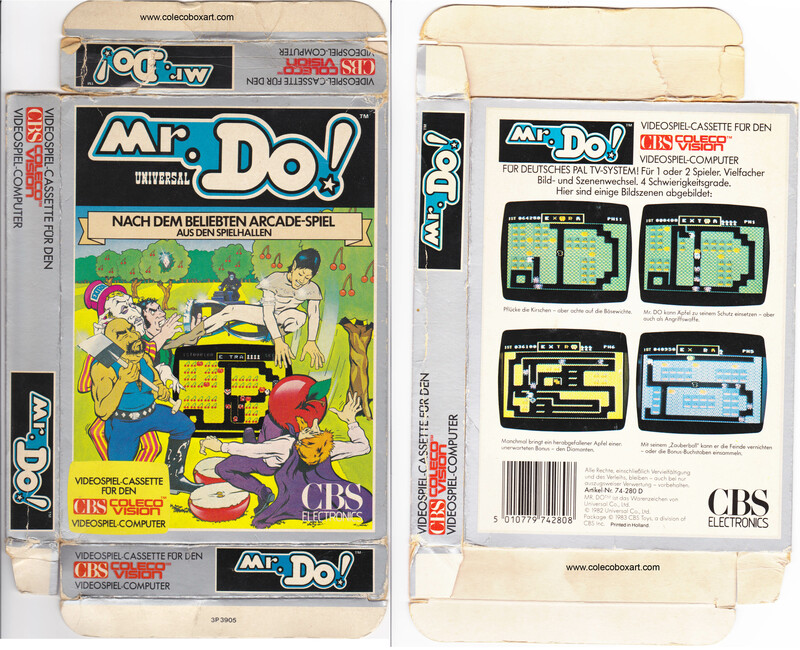 MR. DO™ ist das Warenzeichen von Universal Co. Ltd.
© 1982 Universal Co., Ltd.
Package © 1983 CBS Toys, a division of CBS Inc.Printed in Holland. 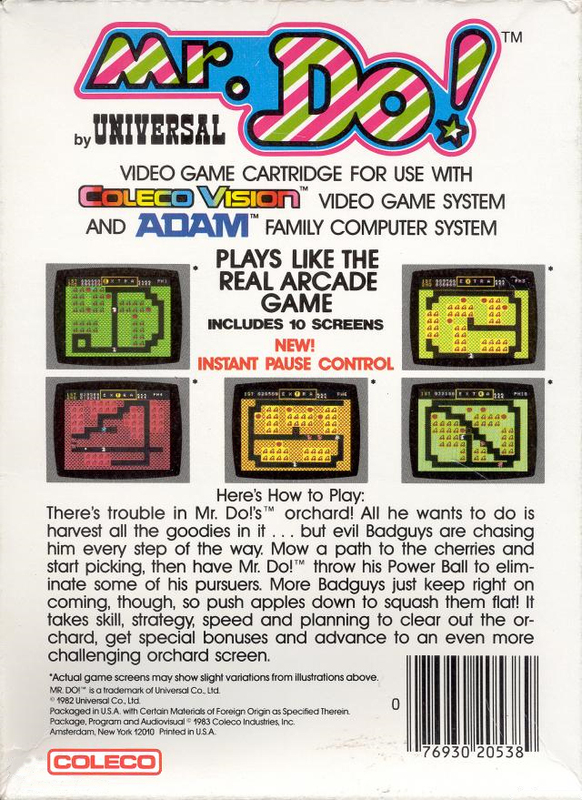 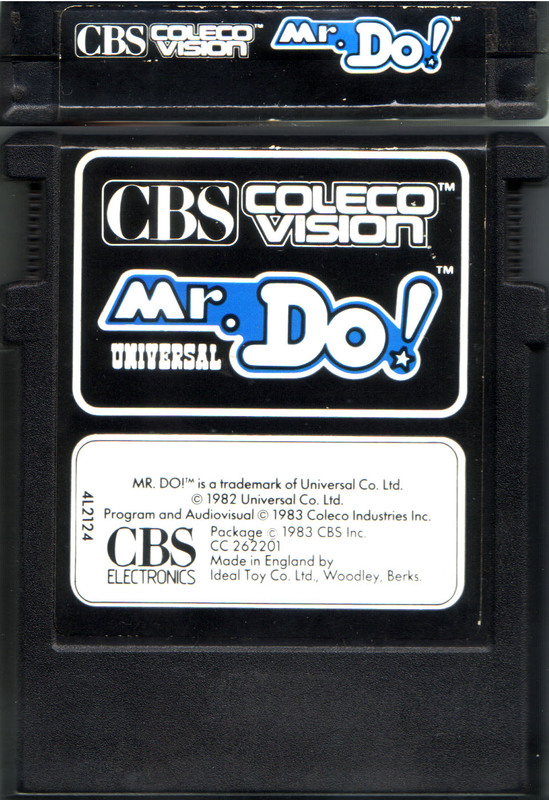 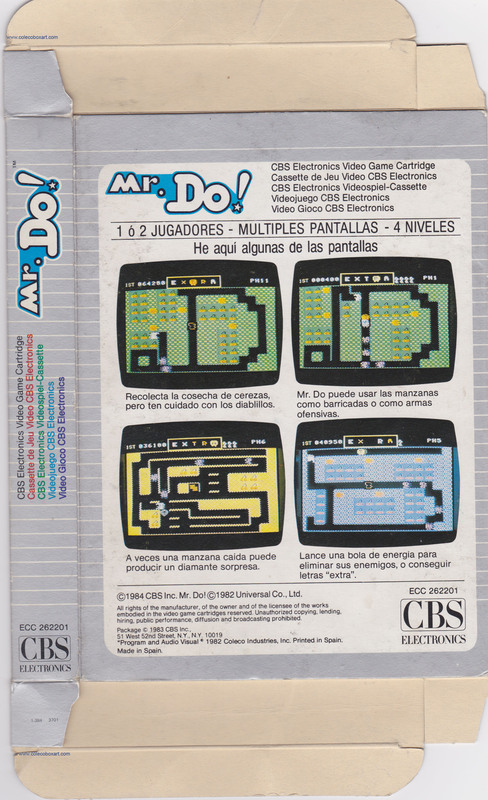 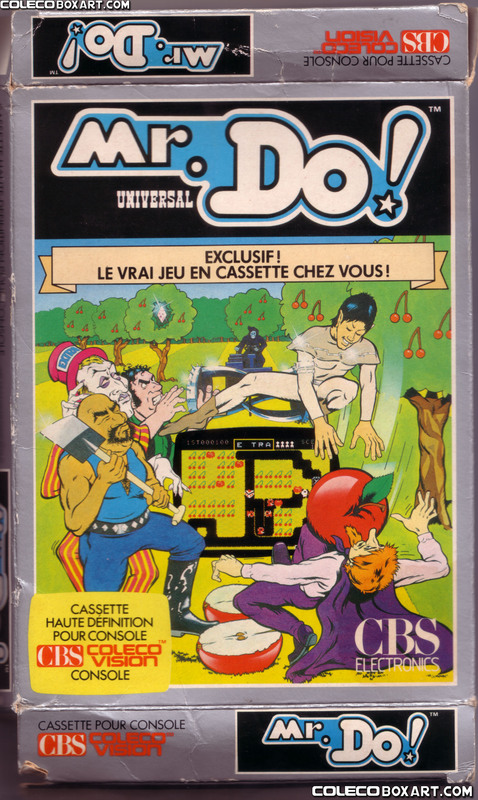 ©1984 CBS Inc. Mr. Do!©1982 Universal Co., Ltd.
Mr. Do! 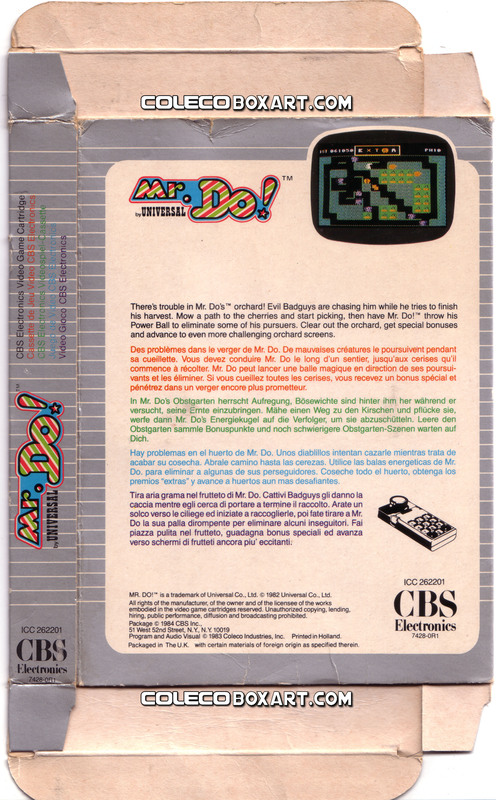 is a colourful and addictive maze game in which the player takes on the role of the eponymous Mr. Do, a circus clown who must clear each level of either cherries or monsters. 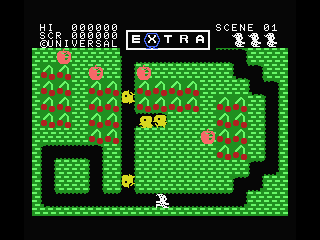 The game's single screen levels are made up of tunnels surrounded by a colourful, soil-like substance. 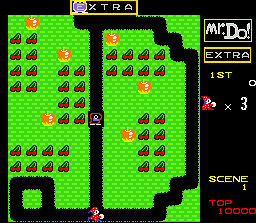 This soil can be dug through to create new tunnels, allowing Mr. Do to escape his enemies and to reach the many cherries that litter the levels. 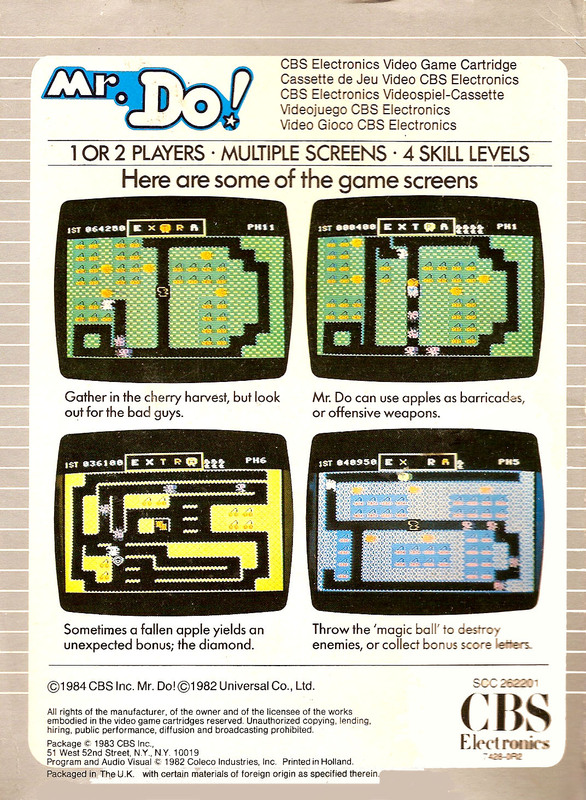 A number of apples are also scattered around each level, and Mr. Do can push them along tunnels (to block and/or kill monsters) or can tunnel beneath them to drop them onto the heads of any pursuing enemies. 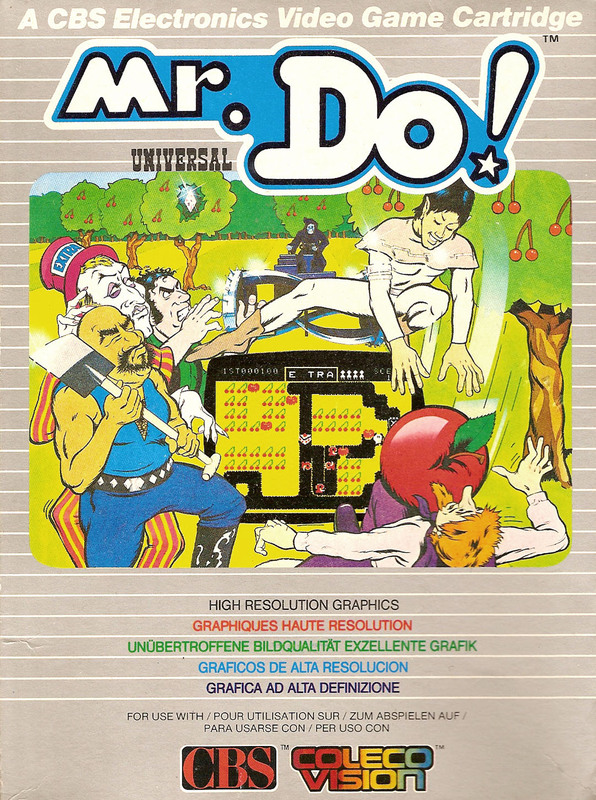 Mr. Do himself can also be killed by a falling apple. 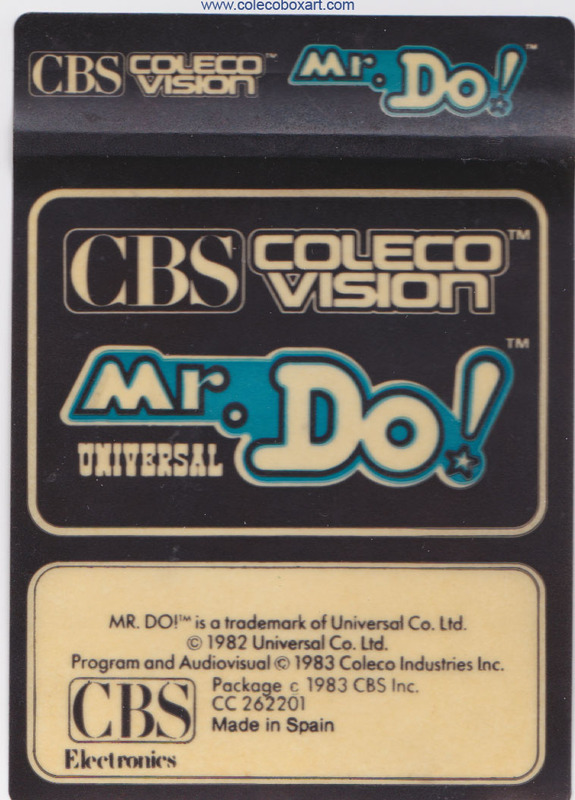 Mr. Do is armed with a 'Powerball' that can be fired down a tunnel, it will then bounce around the tunnels until it either returns to Mr. Do, or comes into contact with, and kills, one of the level's monsters. 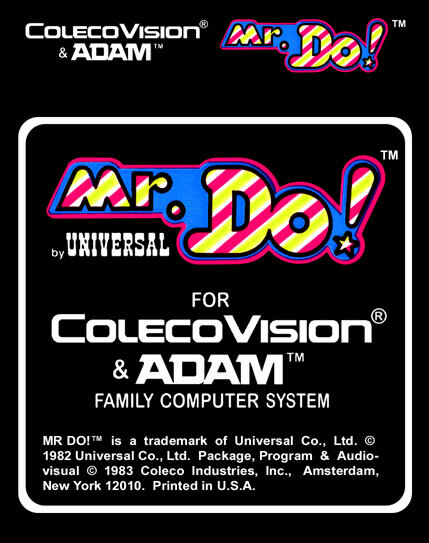 The Powerball will only return once Mr. Do has tunneled under more soil. 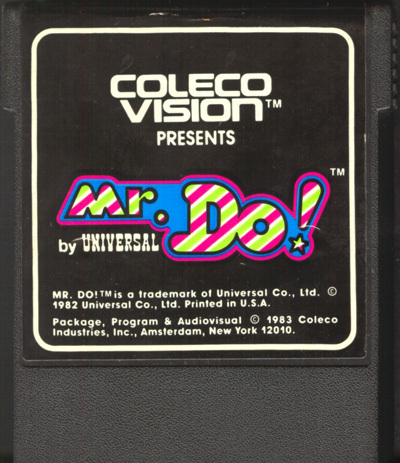 As each level progresses, the monsters themselves start to dig tunnels of their own in their pursuit of Mr. Do. 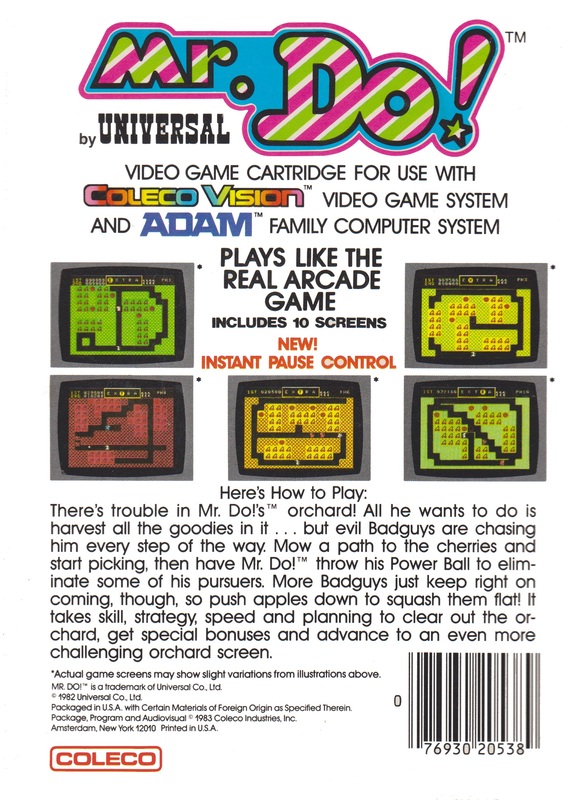 Monsters can also push the apples. 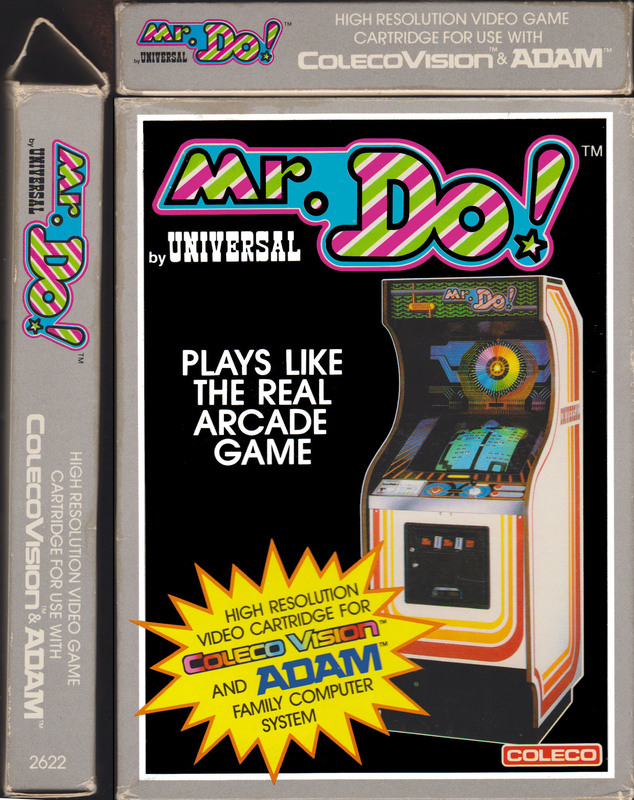 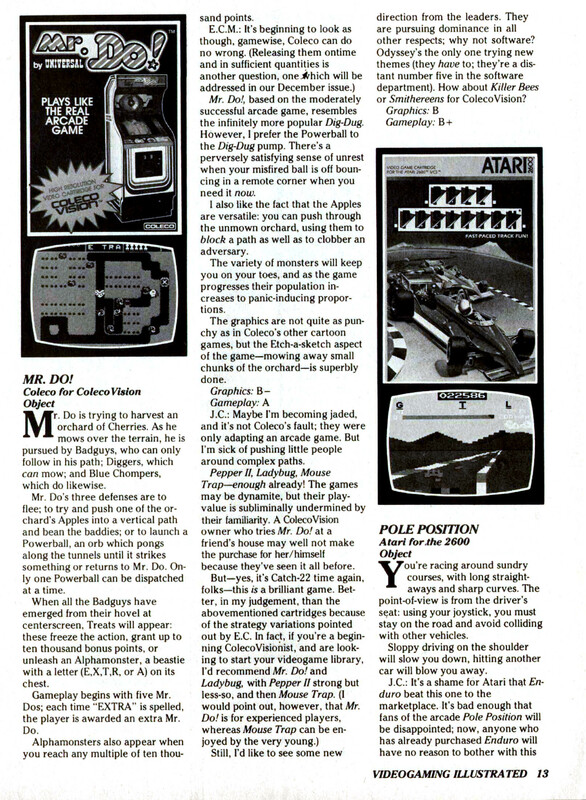 Port of Universal’s arcade game released in 1982. 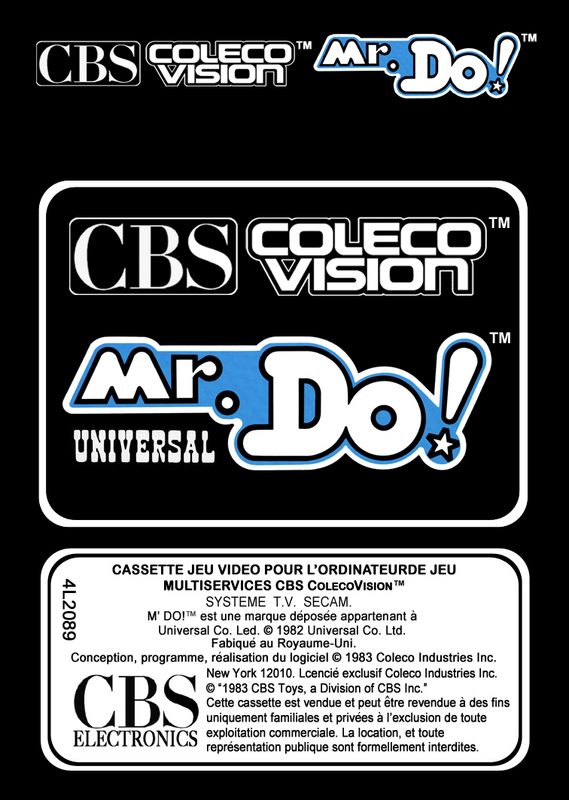 Labels Made By: Phil Boland. 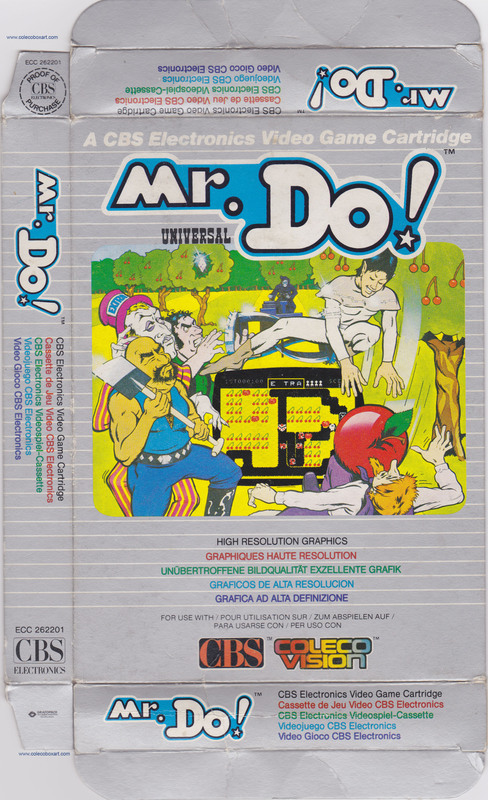 Remotely similar in gameplay to Namco's popular Dig Dug title, Mr. Do! 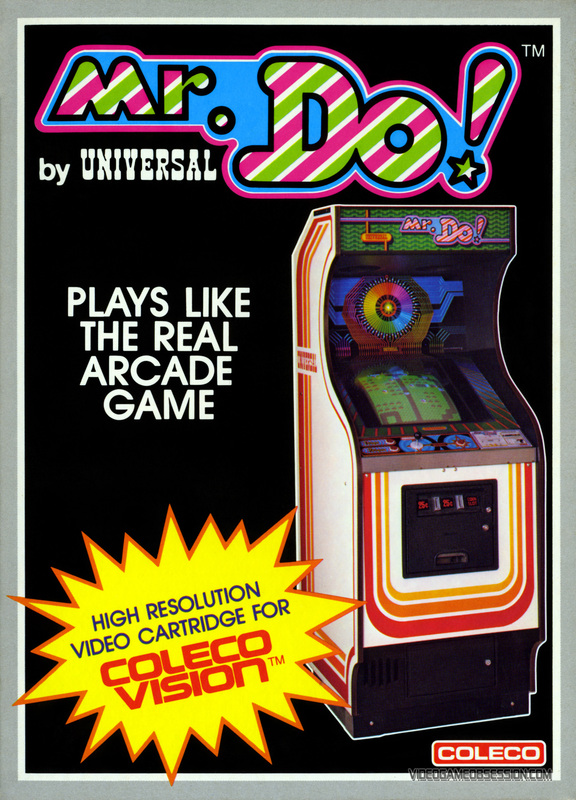 was also popular and saw release on a variety of home video game consoles and systems.It was the first arcade game to be released as a conversion kit. 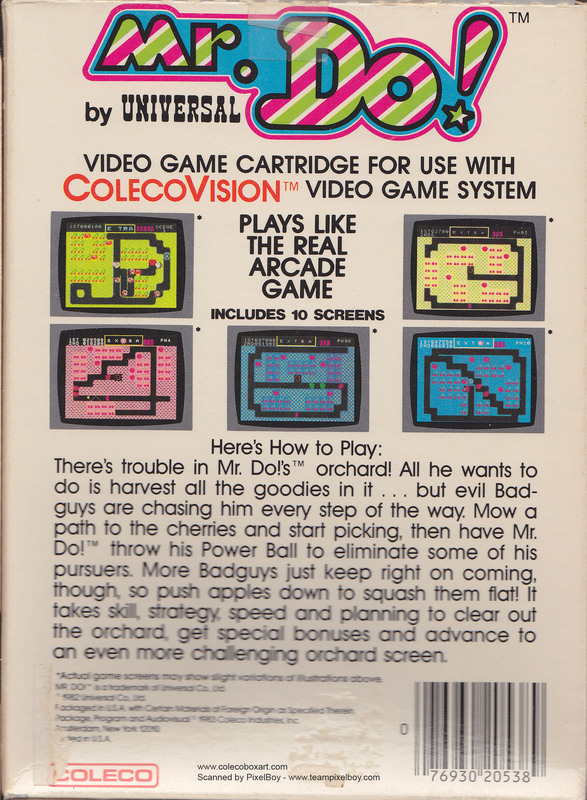 One of the differences in the ColecoVision adaptation is, the alphamonster and sidekicks are unable to eat apples, making them easier to crush, but the blue monsters eat the shrubbery and cherries. 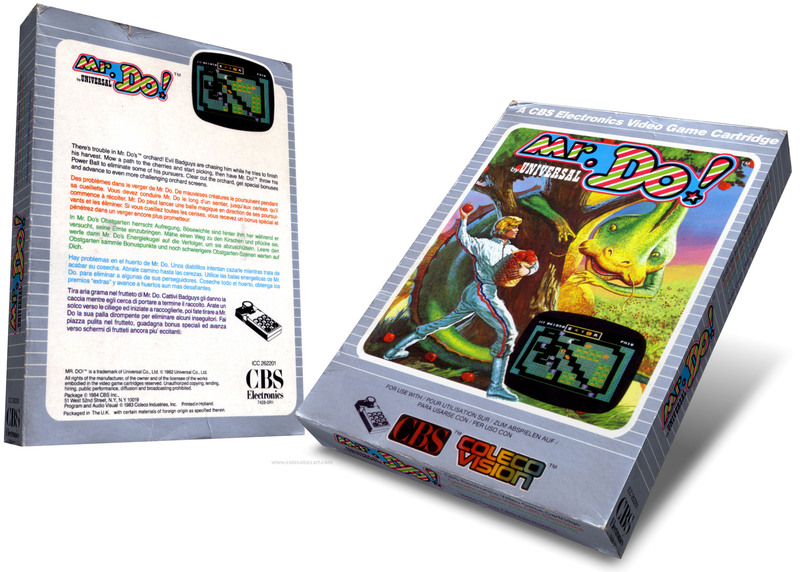 Another change is, if an alphamonster is over a letter that has already been defeated, the dinosaur monsters just freeze for a few seconds. 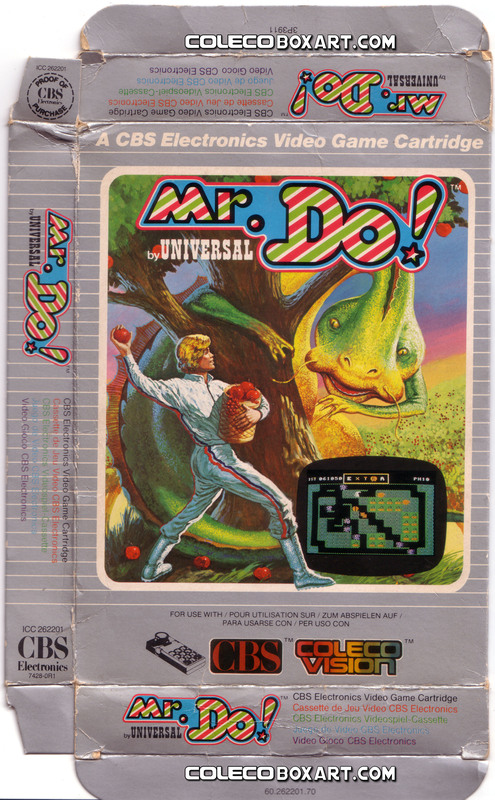 James Carter says in the FAQ: If you drop two adjacent apples and get crushed by the first one, you are squished but don't die. 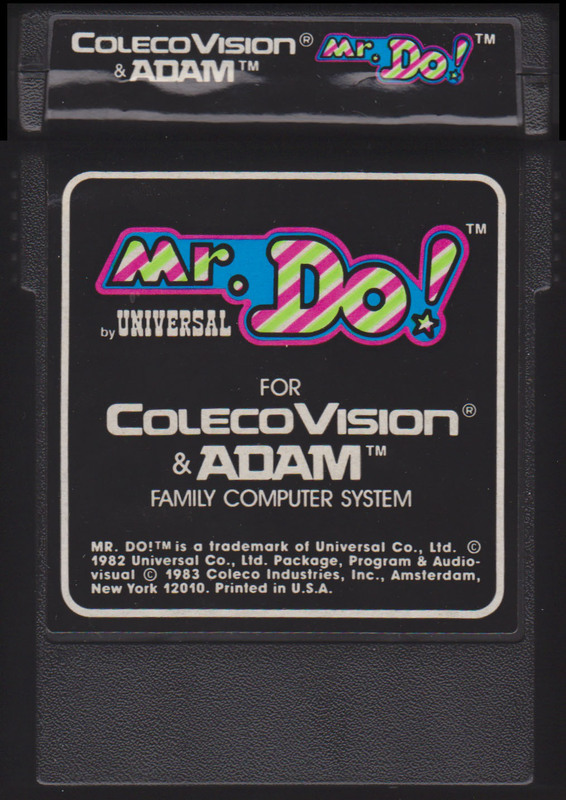 You then have to restart the game. 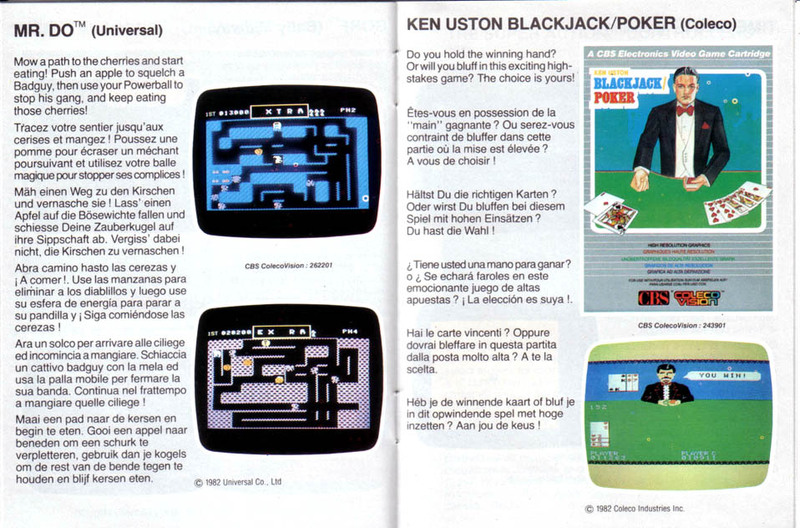 In the FAQ, Norman Sippel says: The pause button is "*". 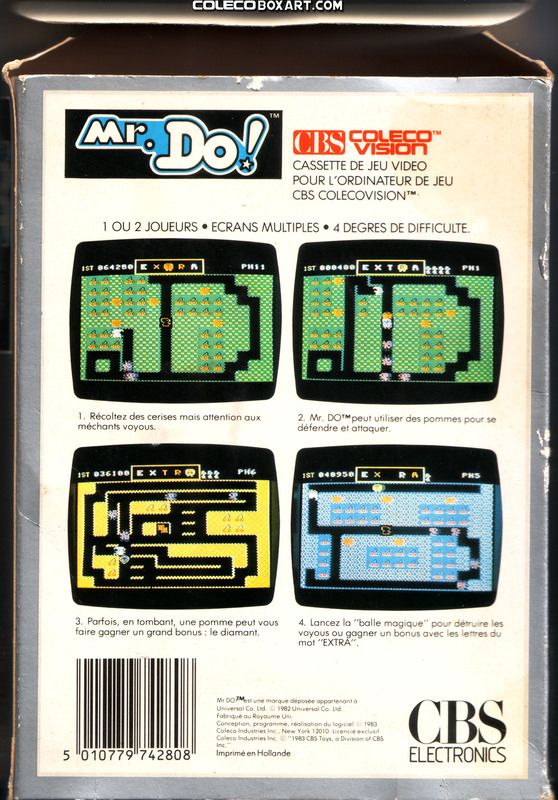 Hit it once for a blank screen with repetitious music; hit it twice more to begin play again.